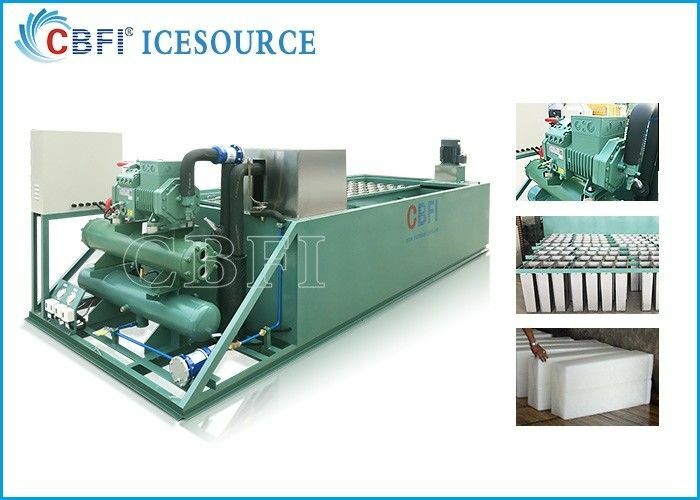 BBI Series Block Ice Machine is the second generation ice block machine developed by CBFI, adopting coil pipe evaporator. For its high efficiency, low power consumption and more “fool” typed installation, the BBI ice block machine has enjoyed its popularity around the world. 1. The temperature of ice is low and it can reach 10celsius belew zero. 2. Because of the block structure,it is convenient for store. 3. The integrity design and installation convenience,it can be used if you install electricity and water. 4. The principle is simple and the maintenance and repair is easy. 5. The ice-making tank adopt the Polyurethane foam technology. It promises a good hest insulation. 6. 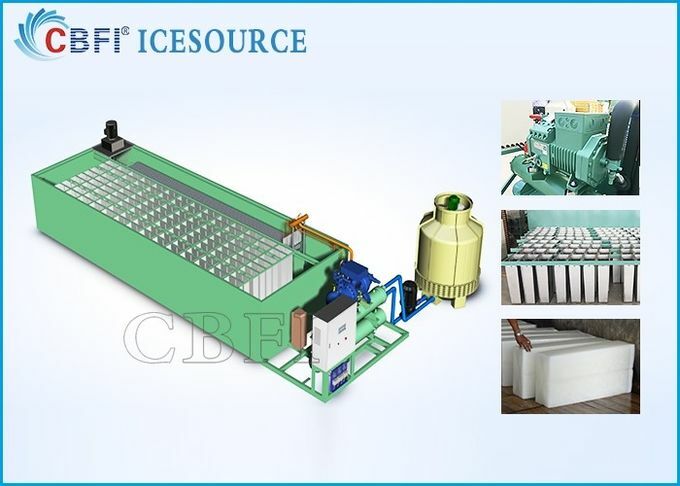 It can be made into different size of ice block machine to meet different currents' need to ice. 7. 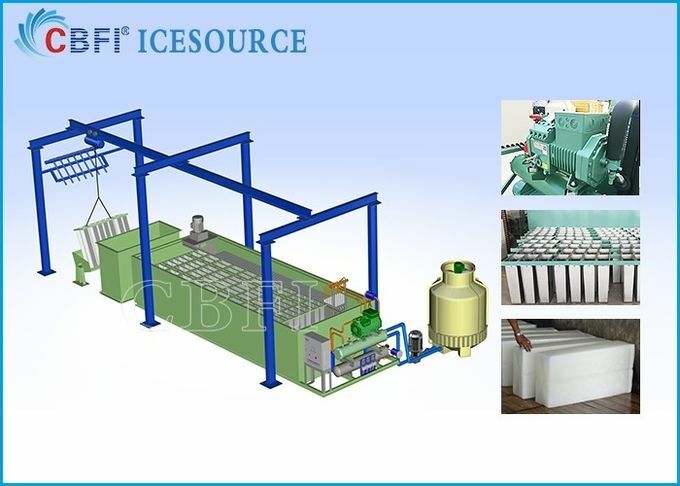 The large ice block machine use the crane to take ice,so the work quantity is small. 8. There are 1ton to 100tons production per day models to choose. We have customer in China, Malaysia, Indonesia, Philippine, Maldives, Vietnam, Thailand, Myanmar(Burma), Dubai, Syria, Iran, Saudi Arabia, Egypt, Lebanon, Sudan, Oman, Mexico, Venezuela, Argentina, Nigeria, Angola, Congo, South Africa, Niger, Benin, Cameroon, Burkina Faso, Guinea, Guinea-Bissau, Mozambique, Papua New Guinea. 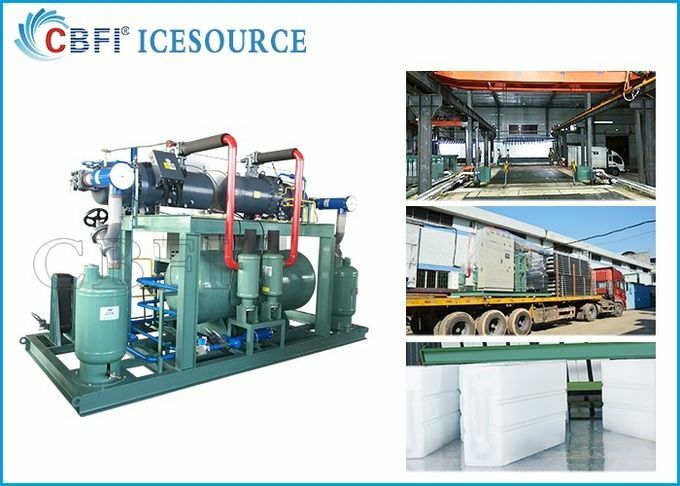 (1)Brine system block ice machine structure: refrigeration unit, brine tank (ice making tank), water cooling tower/ air cooling fan, and necessary components. We will prepare the three in unit, you just need to connect the power and water pipes for the three parts. Pleas see the picture in the attachment. (2)Daily production: 1 ton per day to 100 tons per day. 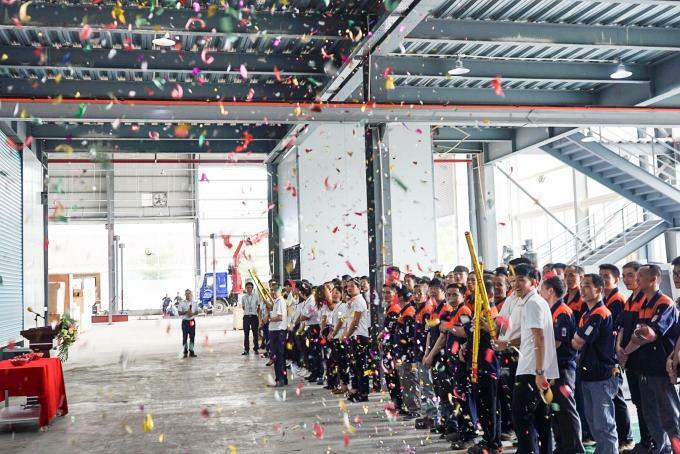 And if the capacity is more than 20 tons per day, it cannot ship the whole machine in container. So we do the local installation and construction in your place. (3)Weight of block ice: 2.5kg,5kg, 10kg, 20kg…100kg, also can be done as your requirement. (4)Application: the block ice is use to reduce temperature, especially in Africa country where the power is not stable and the climate temperature is high. When the power is off, people use the block ice to cooling the drinking and beverage. And block ice is also used to keep fish fresh or crushed into small pieces to fresh vegetable and fruit. Note: Dimension of machine for reference only, its real size according to after final confirm size of each ice block and quantity of ice block cans. The above information is according to adopt water cooled condenser. Size of machine is before installation. It didn mention size of cooling tower, cooling tower usually install in the outside. 1. Whats the deliver time of your machine? 2. Whats the payment method you accept ? Pay via Alibaba, T/T, LC, In Cash, Western Union, Money Gram. 30% deposit, balance should by paid before shipping. 3. 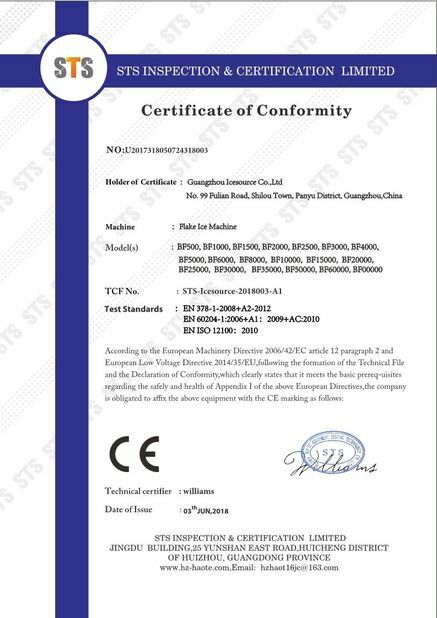 How long the warranty for machine I buy ? 12 months since the deliver date. 4. how to install the machine ? Guangzhou Icesource Co,.Ltd was established in 2004, specialized in ice machine and cold room manufacture, including cube ice machine, tube ice machine, block ice machine, flake ice machine, plate ice machine, water chiller and cold room, product was export to Europe, North and South America, Asia, Middle East, Africa.